The reality isn’t quite that simple. 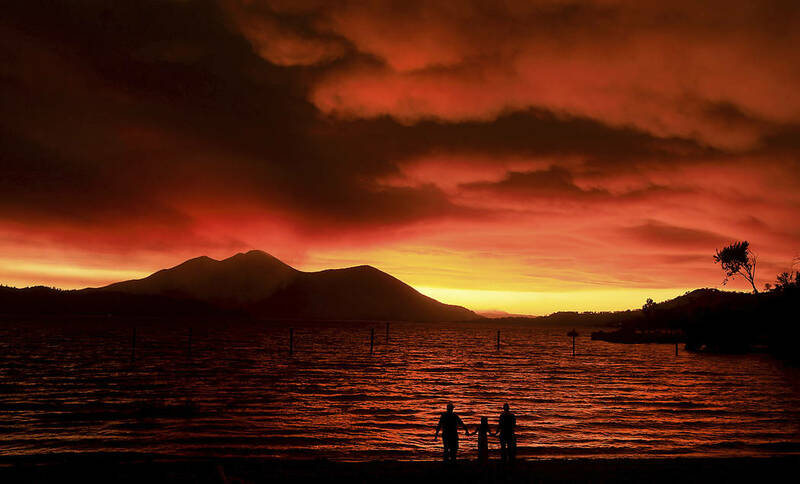 Even the weather is political these days — and so it is with the Western wildfires. Last year, about 8.5 million acres burned throughout the American West, mostly in California, Nevada, Montana, Idaho and Oregon. This year, California has been particularly hard hit. As of Wednesday, Nevada had five active fires, the largest of which was near sparsely populated Jackpot in the far northeast. But according to the National Interagency Fire Center, the pace of destruction in 2018, while above average, is below what the West experienced in 2017. This type of context is important — and too often lacking. Global warming and climate change have become Trojan horses for progressives and greens pushing a massive expansion of government’s role in the economy. Virtually every weather incident across the globe is today attributed in fashionable quarters to mankind’s greedy push to destroy the planet by creating prosperity with fossil fuels. The Weather Channel is now almost entirely devoted to the proposition that Americans would be better off cowering in the closet 24/7 rather than risk the potential calamities that might befall them should they foolishly venture into the Great Outdoors in the face of menacing rain, flooding, tornadoes, fire, thunder, lightning, hail, wind or some other natural phenomenon. So it wasn’t surprising when California Gov. Jerry Brown recently put forth the notion that the aggressive wildfires now burning throughout his state will become “part of our ordinary experience” thanks to climate change. The reality, however, isn’t quite that simple. In reality, the website factcheck.org noted last year that a 2016 report by the National Academies for Science concluded “scientists especially struggle with linking warming to wildfires because so many factors contribute to their occurrence.” A 2012 Yale study found that the recent spate of wildfires “is not unusual,” given historical patterns, and that the number of Western fires has actually declined over the past 3,000 years. Higher temperatures can indeed create conditions conducive to spreading fires. But what Gov. Brown willfully ignores are the human choices that also contribute to the damage. For instance, a U.S. Department of Agriculture press release from last December announced that California had 129 million dead trees on 8.9 million acres throughout the state, increasing the risk “to communities and firefighters” in the event of wildfires. But watch the reaction from the green extreme if someone proposes addressing this problem. As The Wall Street Journal noted Wednesday, lawmakers in Sacramento have elevated $335 million for electric vehicle subsidies and billions for a high-speed rail boondoggle above devoting resources to clearing these tinderboxes and improving firefighting capabilities. When it comes to fires, Gov. Brown is using climate change like a street scammer uses the little red ball and his three cups in the shell game. It’s a distraction, pure and simple.